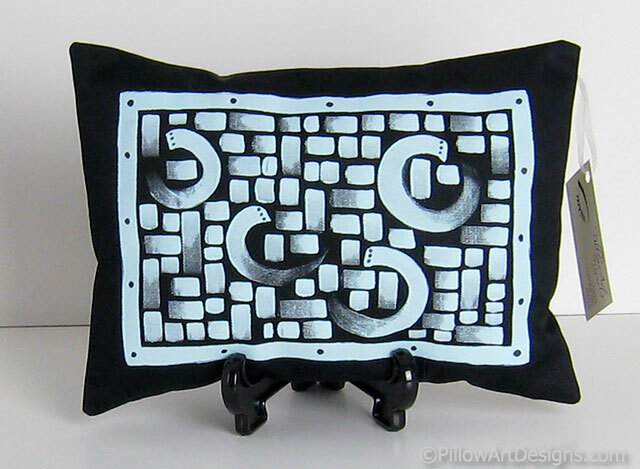 This little black accent pillow measures 12 inches X 8.5 inches, features abstract design painted in pale aqua blue. Sure to add a unique little spark of interest in your room's decor. 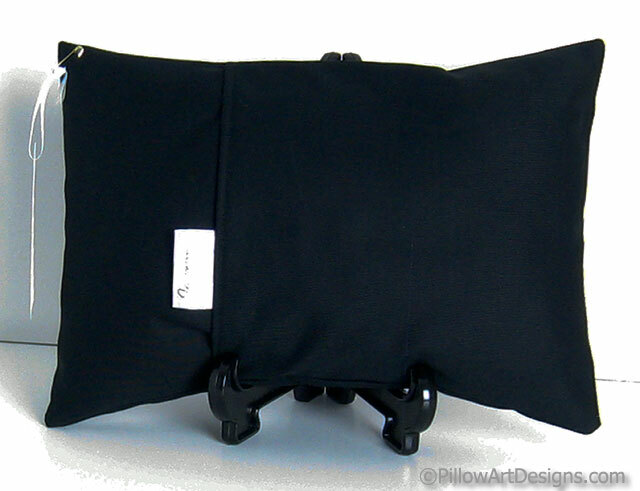 I include the stand to allow you to display in the perfect spot as soon as you receive it!